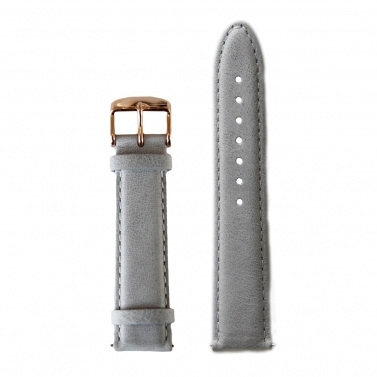 The replacement of watch bands can only be done by a specialist? Sorry, but that is so old-school! Thanks to the quick-change wristbands, different watch combinations can be made up to your choice. All you need is the BULLAZO watch case in pink gold or silver and the matching leather bracelets made of black, brown or silk-grey italian calfskin leather. 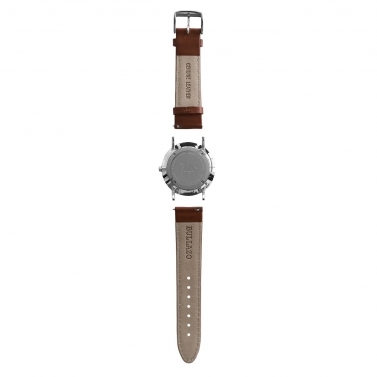 The spring bar integrated in the quick-change wristband can be pushed inwards by the small pin on the inside of the wristband and snapped into the holes of the strap holder of the watch case. And that's supposed to do its job? Due to the excellent quality of the integrated spring bars, an absolutely secure hold of the bracelets on the case can be achieved after a successful engagement, which can only be intentionally resolved when changing the bracelets. 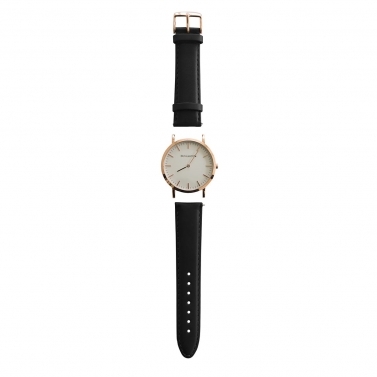 The leather straps for watches can also be bought separately. Who hasn't seen it before: last season, when you bought a new watch, you just can't see the color of the leather watch band in the new season. But do you want to buy a new watch? Maybe you can just change the bracelets for now. If you combine classic watches with a new bracelet, they often shine directly in a new, modern look. This is why we are often asked whether our noble interchangeable wristbands are compatible with other brand watches. Unfortunately, we cannot give a flat-rate guarantee here. 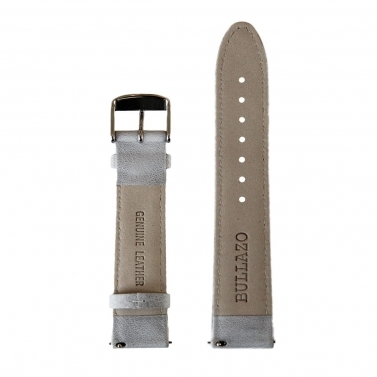 As a rule, however, if you can remove the bracelets from your watch (whether through an integrated exchange function, an extra pin to change the bracelets or by your watchmaker), the strap width is 20mm and the strap lobes are similar to those of the BULLAZO watch, the BULLAZO wristbands are also perfect for other brand watches. In addition, no additional spring bar is required as it is already integrated in the EASY CLICK interchangeable wristbands.